Check Out our Latest 2019 Party & Wedding Dresses in Indian Fashion. Semi Stitched Suits, Ready Made Suits, alwar Suits, Lenghas, Designer Sarees, Anarkali Suits & Pakistani Clothes. Now In Stock At Asian Couture at Affordable Prices. Customised Stitching & Free* UK Next Day Delivery Service. INDIAN SUITS SALE NOW ONLY FROM £10. OUR BIGGEST SALE ON NOW !! SUITS NOW FROM ONLY £10 !! HURRY !! LIMITED TIME ONLY!! RED BEIGE HEAVY CHURIDAAR PAKISTANI SUITRED EMBRODERED DRESS FULL SLEEVES WITH GOLDEN EMBROIDERY BOT..
Top Net with Heavy Tone to Tone and Contrast Embroideries on Front. Sleeves are in Georgette ..
White Floral 3D suit with Pearl Lace border on sleeves , neck and bottom of dressFloral Printed Desi..
Top Lawn Cotton Printed Suit with separate Embroidered Patches. The Suits are in full length and c.. ELEGANT ROLEX PALAZZO PARTY WEAR DESIGNER DRESS A Beautiful and hot PLAZZO comes with G..
NAVY BLUE KASEESH PRACHI SHALWAR KAMEEZ WITH PLAZZO AND PATIYALA BOTTOM SHIFFLY DESIGN SUIT A..
Top :- Net with Embroidery +Sequence + Stone + Moti WorkSleeves :- Net with with Embroidery + Siquen..
PRINCESS CUT WHITE FLORAL DESIGNER SUIT (MOTHER AND DAUGHTER READYMADE ) A Beautiful and hot AN..
TOP : STUNNING CREAM PEACH DESIGNER SUIT BOTTOM : PLAIN CREAM CHURIDAAR DUPATTA : HEAVY EMBROIDERED .. STUNNING INDIAN DESIGNER ANARKALI GOWN ( 6 COLOURS TO CHOOSE FROM )2 WEEKS DELIVERY SEMI ..
Top: Pure Cambric Gold Print with Heavy EmbroideryBottom: Cotton Gold PrintDupatta: Chiffon PrintUn-..
Top:- Crepe silk & chiffon silk and export quality other fabrics Bottom: Santoon Inner: San.. HEAVY EMBROIDERED BORDER DRESS WITH MIRROR WORK . IT COMES WITH MATCHING DUPATTA. This Suit is .. Appealing Malaika Arora Khan Party Wear Shalwar Kameez Malaika arora khan black georgette pant st.. Printed straight shirt of crepe Excellent geogette insetr on the hemline and the sleeves Pair..
Fashionista By Avon Trendz Bollywood Stylish Designer Embroidered Occasional Wear Party Wear Pure Ge..
GL3801 Blue GLOSSY MALAIKA ARORA ANARKALI DRESS in UK Stunning New Malaika Arora Kha..
Top: Soft Net with Full Front and Sleeves work with Cotton InnerBottom: Semi LawnDupatta: Chiffon &..
GOLD PAKISTANI DESIGNER CHURIDAAR SUITAn appealing Stunning new Long Indian Dress comes in as in Pic.. Stunning Glossy Designer Lehenga Gown. The Gown comes with Elegant Designer Embroideries on FRO..
Floral print saree in georgette with excellent colour combinationsThe saree is paired with a striped..
Breathtaking HEROINE Straight Cut Designer Dress An appealing Stunning new Long I..
Indian Catwalk Black Orginal Designer Dress ​in UK Jinaam Designer Dress Party, wedding and EID D.. Appealing Malaika Arora Khan Party Wear Shalwar Kameez Malaika arora khan black pant style suit d..
Top Front :-Heavy Net With Embroidery Work + SequenceSleeves :- FLAIR sleeve Net Emb.work + Sequence..
RED WEDDING WEAR LEHENGA GOWN MANUFACTURED BY ASIAN COUTUREStunning Glossy Designer Lehenga Gown.&nb..
Black Muaak Mirror Jinaam Designer Dress​ in uk Stunning New Black Orginial Designer Dr..
Buttercup Yellow Anarkali Gown By Indian Fashion Designer Archana Kochhar. Top : NET with heavy Embroidery work+StoneBottom : NET + SANTOON (payal with motiWork}INNER- SANTO..
Breathtaking Priyanka Chopra HEROINE Designer Dress An appealing Long Indian Dress in Royal.. This EID Collection has completely Taken Over! Get on the fashion train and purchase some of the br..
Breathtaking Priyanka Chopra HEROINE Designer Dress An appealing Stunning New Long Indian D..
Orange Maroon Designer Patiala Punjabi suit by Indian fashion designer by Archana Kochhar C..
Crispy GEORGETTE Summer Wear Salwar Kameez. Please note the design is completely different henc..
Top: - Net with Embroidery work + StoneSleeves: - Net With Embroidery workInner: - SatinBottom: - Sa..
TEAL STRAIGHT READY MADE SALWAR SUIT Designer straight shirt in rayon with embroidery detail.. Stunning New Orange Orange & Black Designer Dress Party, wedding and EID Dress. O..
Orange Strapless Maxi Designer Gown By Indian Fashion designer by Archana KochharDetails:- D..
Beautiful stylish party dress, designed with high quality velvet Material. Semi Stitched Suit with&n..
BROWN CAPE JACKET DRESS & CAPE TROUSER SUIT This ensemble features a jacket style ..
Malaika Arora Unstitch Suit based on pure georgette chiffon fabric with heavy thread work and embell.. CREAM FLORAL PRINTED CREPE READY MADE SUIT Floral printed A-line maxi dress Front slit is .. Fabric Details :- TOP:-HEAVY NET WITH Heavy Embroidery Bottom /INNER :- Santoon Dupatta :-HEAVY NET .. Designer Georgette Embroidered Semi Stitched Heavy Party Salwar Kameez with Chiffon Dupatta and Geor..
Top Net with Heavy Tone to Tone and Contrast Embroideries on Front. Inner Shan.. Details: Top:- Crepe silk & chiffon silk and export quality other fabrics Bottom: Santoon I..
Top	VAISANAVI georgetteBOTTON SantoonDUPATTA	chiffonThis dress is Semi Stitched. (Not Ready to Wear..
Top - Georgette With Embroidery work embossing Sleeves - Georgette with Emb.work + StoneInner - Sant..
Indulge in the finest quality of indian Stylish dress .This outfit stylishly crafted by Embroidery..
Indulge in the finest quality of indian Stylish dress .This outfit stylishly crafted by Embroidery,..
Indulge in the finest quality of indian Stylish dress .This outfit stylishly crafted by Embroidery,T..
Top- GeorgetteBottom & Inner- ShantoonDupatta- Nazneen Chiffon Semi-Stitched / ..
Top- Banglori SilkInner- AmericanBottom- ShantoonDupatta- Nazneen Chiffon Semi-Stitched &..
Top- GeorgetteInner- Georgette Print+AmericanBottom- ShantoonDupatta- Nazneen Chiffon Semi-Stit..
Top- GeorgetteSlevess- Net Bottom & Inner- ShantoonDupatta- Nazneen Chiffon. Semi-Stit.. Fabric Details:-Top – Pure Silk, Net, Georgette, Georgette foil print, Georgette+Net, Super silkInne..
Fabrıc= Georgette, Net, Pure SılkBottom= Shantoon, Georgette, AmerıcanInner= ShantoonDupatta= Chıffo..
TOP : BROCADE DETACHABLE BLUE JACKET AND GOLDEN PIPPING ON JACKET. GOLDEN DUPION INNERFULL SLEEVES W..
Smart all lace jacket with sequance detailing and contrast inner shirt & jacket. Fabric : Polyes..
Royal long gown with dabka work detailing on neckline & waist. Fabric : PolyesterEmbroidered Nec.. Pretty pastel straight shirt in georgette with amazing boat necklineIt has contrast floral thread em..
TOP : FABRIC GEORGETTE AND CHIFFONGRAY SELF EMBROIERED SHIRTBAN NECK LINE AND FRONT OPENING WITH ZIP..
TOP : STUNNING FABRIC AMERICAN CRAPE AND RAYONBLACK AND WHITE TWO PRINT SHIRTJACKET STYLE BLACK PRIN..
An all new cape style dress with thread work on sleeves. Fabric: Polyester Round Neck Cape Styl..
TWO LAYERED BLACK GEORGETTE DRESS WITH STONE EMBELLISHMENTTHE SLEEVES ARE IN PLAIN GEORGETTEGOLDEN L..
flared dress in georgette it has a round v neckline ,detailed with contrasting grey fabri..
RICH BRONZE BROCADE TOP WITH MOTIZ PAIRED WITH BLUE TAFTA SKIRTRICH BROCADE TOP WITH MOTIZ ON SIDEFR.. Belted jacket style sheer dress with printed inner. Plain dupatta & pencil trouser.Fabric : Pol..
WHITE AND BLACK FLARED STYLE READY MADE INDIAN DRESSfully flared black and white printed dr..
TOP : FABRIC AMERICAN AND CHIFFONNAVY BLUE SHIRT AND FLORAL PATTI DETAILING ON FRONTNAVY BLUE SHIRT ..
Full circular long dress in georgette with finishing done with potli buttons on the necklinePaired w..
TOP : STUNNING FABRIC GEORGETTE AND CHIFFONBLACK AND WHITE A SHIRT BORDER INSERTION IN CENTERHALF BA..
TOP : FABRIC: GEORGETTE, CHIFFONMAGENTA KAMEEZEMBROIDERY ON NECKEMBROIDERED CUFFS BOTTOM : MATCHING .. Elegant longline dress with pleated skirt and delicate thread / mirror embroidery. Fabric : Polyest..
Long flared dress in georgette with boat necklineThe neckline is highlighted with pearl buttons till..
GREY AND GOLD BROCADE JACKET STYLE DRESS WITH CAPRI TROUSERS DESCRIPTIONSTYLE-LONG JACKET STYLE.. Fabric: Net & Rangoli Georgette with heavy embroidery Kids Stitching Size = 26" - 34"Max Bust: 5..
Top:- Heavy Embroidered Net SuitDupatta:- Net This Suit is Semi Stitched. (Not Ready .. Fabric Details:Top:- Georgette Embroidery with Swarovski work Inner:- Santoon P..
TOP – NET EMBROIDEREDINNER – SANA SILKBOTTOM – SILKDUPATTA – NET EMBROIDERED	Ladies Standard UK Siz..
Top : Premium Net Inner : Santoon Bottom : Lehenga + Pant Dupatta : Premium NetThis S..
Top : Premium Net Inner : Santoon Bottom : Santoon Dupatta : Premium NetThis Suit is ..
Top :- Heavy Georgette Embroidery & Stone WorkSleeve :- Georgette & Embroidery work Inn..
Top & Dupatta-Soft Georgette, Bottom-Dull SantoonPLEASE NOTE ( DELIVERY TIME IS 2 WEEKS ) T..
TOP – NET EMBROIDEREDINNER – SANA SILKBOTTOM – SILKDUPATTA – NET EMBROIDERED	100% AUTHENTIC OUTFIT( ..
Top fox Georgette with Santoon. innerbottom SantoonDupatta : Georgette EmbroideredPLEASE NOTE (..
Semi stitched suit in premium net fabric. Satin inner, santoon trouser fabric. Net dupatta. Maximum .. Stunning New semi stitched dress in premium net fabric. Satin trouser/lehenga fabric. Net dupatta. M..
A Semi stitched gown in premium net fabric. Satin inner, santoon trouser fabric. Net dupatta. Maximu..
Beautiful pastel saree with rich threadwork all throughout the sareeThe motifs on the saree has mirr.. Forever classic saree in georgette with pearl embellishment throughout and border detailingIt is pai.. 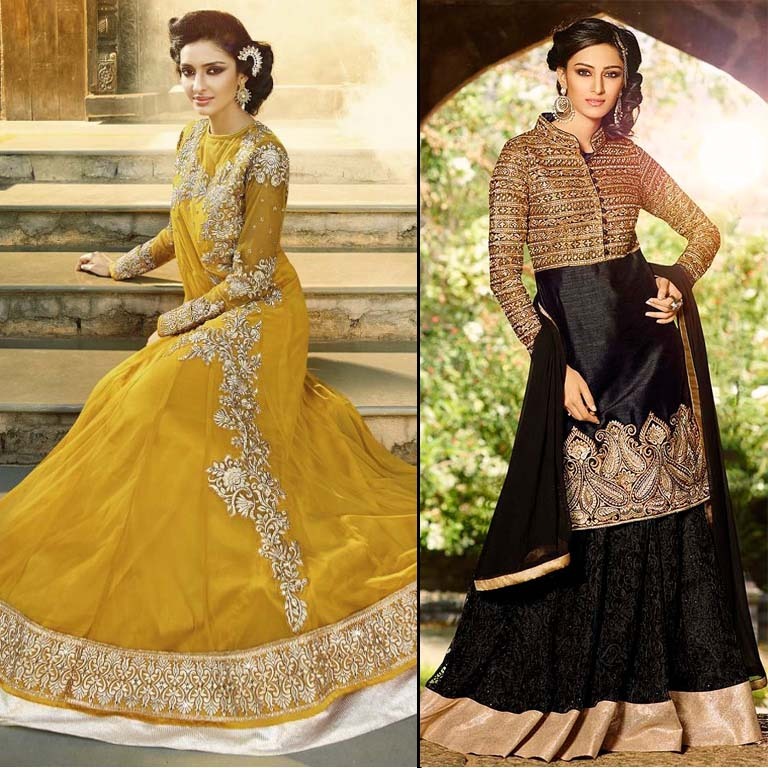 If you want to see the latest trends in Asian or Indian fashion then Asian Couture is the right place to be. 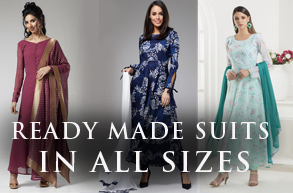 We sell exclusive designer clothing Semi-stitched from every day to party wear; from a traditional saree to a modern fusion of the saree-gown.Indian fashion has a variety of styles; from sarees and salwar kameez to lenghas and churidaar kurtas. The vibrant colours capture the ethnicity and cultural traditions. The hand woven embroidery displays the craftsmanship of the Indian sub-continent. The assortment of materials shows diversity and passion, whether it is soft cotton or rich silk. Traditional Asian clothing has come into prominence again. The fashion trends show that modern fashion has imitated the styling of past eras, for example, the regal period, when kings and queens used to spend lavishly. Today our creative fashion designers watch out for ethnic designs that take us close to our cultural roots and remind us of the magnificent past. However, if you like the more current craze, we can tailor for that too. The modern day saree-gown is a combination of the saree and the dress. The long gown has a drape attached to the waist, with one end pleated and draped over the shoulder. 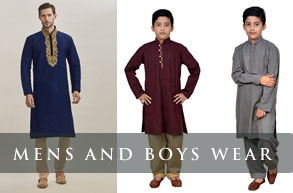 Our Asian clothes are specially selected to give you the best experience for all occasions. We have a huge collection of custom made designer wear. Have a look at our chic Sheona collection or the captivating Heroine outfits. We cater to current needs and keep your expectations in mind when creating outfits. We can custom make for every shape and size with whatever colour is in vogue. Everything you envisaged, we promise that is what you will get at discounted prices. So what are you waiting for? Get shopping ladies!! Next-gen look for all the ladies of modern fashion era serving you all over the world. Modern and formal attire to work.Dresses for all occasion. The Shalwar Kameez, Kurtis And Maskeen Maisha suits come with designer Anarkali dresses that has have everything you need and is used as a replacement of the old traditional dresses and saris.Designer kurtis, Waistcoat dresses, embroidered Churidaar with Geogette Long Kurtis tops, Anarkali Dresses and Gowns are the latest trends leaving women mesmerised by its unique designs equipped to fulfil their wedding and party wear occasions.You will find the full range of exclusive Asian designer clothes online. Our prices are so reasonable along with original designer brand you are looking for.We have established many happy customers through our Facebook Page ‘Asian Couture UK’ and ‘CompletethelookzUK’.In Leicester, London, Surrey, Manchester,Birmingham, Yorkshire, Bradford, Glasgow, Dundee, Preston and the rest of the UK including Scotland, Wales, Europe and the USA, Canada and Australia.Our asian couture online store stock the latest designer clothes, asiansuits, indian clothing and indian designer dresses, pakistani dresses , wedding dresses,indian wedding clothes, and our Readymade dresses. When women were often housewives, they had only very simple straight Salwar kameez to wear. Today when women are playing vital roles in other areas of life, they have changed their outfits requirements. They want to wear comfortable but modern and formal attire to work. They like to dress according to the occasion. The Shalwar Kameez and designer Anarkali dresses have everything you need and is used by the designer as it has taken the place of the old traditional dresses and saris. Designer kurtis, Waistcoat dresses, embroidered Churidaar with Geogette Long Kurtis tops, Anarkali Dresses and Gowns are the latest trends leaving women mesmerised by its unique designs equipped to fulfil their wedding and party wear occasions. Here at Asian Couture you will find the full range of exclusive Asian designer clothes online. Our prices are so reasonable along with original designer brand you are looking for. 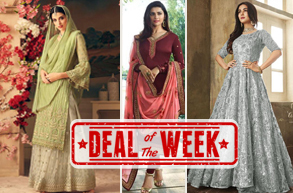 You can always stick to your budget in our shop; You will see many attractive Churidaar suits, Anarkali dresses and Salwar kameez in Georgette, Chiffon, Pashmina, French crape, Satoon, Cotton and velvet materials In embroidered, heavy crystal stonework and diamante designs for every occasion or season wear. Keep in mind our online shop ‘Asian Couture’ caters for any of your upcoming occasions, whether it may be party, wedding or casual wear. Our Online Asian Couture shop stocks only the original Brands including: Zoya, Maisha, Aafreen, Kaasish, Zubeda, Mohini, Khusisk and many more… We also have the latest Designer Suits with heavy embroidery Zoya Empress ----Grown or Maskeen by Maisha Velvet suit. Choose from our range of the correct colored attire of designer clothes that will suit you best we’ve got a lot to offer you. The golden rule in this regard. Dresses with large embroidered borders look great on tall women such as Pasimuna arzoo, for Mohini monochromatic color, thin borders and small patterns are ideal for petite women and that’s our unique element of new winter wear 2014/15. Our Semi Stitched Designer clothes are dresses that have existed since time immemorial. Anyhow, with innovative approaches and stylish design. Our Semi stitched Bollywood designer clothes and designer materials have revived the fashion to wear these attires on each occasion with a unique sense of pride! Asian couture is ready to fulfill all your requirements.